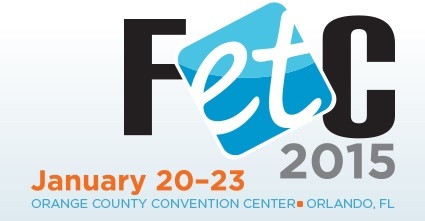 This week I will be in Orlando attending the FETC Conference. What is FETC? Well, FETC is the acronym for the Florida Educational Technology Conference. So why attend FETC? Outstanding Programming: 200 sessions and 80+ workshops focus on the latest resources and techniques-wikis, blogs, social networking, virtual learning, podcasting along with other hot topics. Learn from the Experts: K-12 Education technology leaders help you explore current and emerging technologies—and show you how you can apply them to your school challenges. The FETC 2015 Exhibit Hall and ed-tech marketplace, where you can meet face-to-face with the vendors carrying the technologies you need to know about! In today’s digital environment, I need to keep developing my Digital Mind. When I attend our regular conferences – NCCL, NPCD, NFCYM, and others – there are always wonderful technology workshops offered. However, when I attend an educational technology conference, I am immersed (almost baptized!) in a digital world. When I first attended an Ed Tech conference in Chicago, back in 1983, I froze at the very entrance of the Exhibit Hall. I remember being frightened because I knew next to nothing about any type of technology. Information Technology or IT– IT refers to anything related to computing technology, such as networking, hardware, software, the Internet, or the people that work with these technologies. Many companies now have IT departments for managing the computers, networks, and other technical areas of their businesses. IT jobs include computer programming, network administration, computer engineering, Web development, technical support, and many other related occupations. Since we live in the “information age,” information technology has become a part of our everyday lives. Communications Technology – Refers to any communication device or application (e.g., Social Media – Facebook, Instagram, Pinterest, etc. ), encompassing: radio, television, cellular phones, computer and network hardware and software, satellite systems and so on, as well as the various services and applications associated with them, such as videoconferencing and distance learning. Educational Technology or sometimes called Instructional Technology – The study and ethical practice of facilitating learning and improving performance by creating, using, and managing appropriate technological processes and resources. Read more here. I’ve learned that I do not need to master all three areas. However, I need to understand how these three areas fit into my world. If I need my computer fixed or networked, I know I need to connect with an IT professional. In Communications Technology – there are more areas than I need to know – so I pick and choose (e.g., Social Media, Radio, TV, etc.). However, it is the Educational Technology World where I spend my time. I have earned an MA in Educational Technology, which has helped me to engage in today’s rapidly changing, wired world. Today, to become a better catechist requires a hands-on understanding of current technologies and the strategy and skills to integrate them into the learning experience and ministry training. 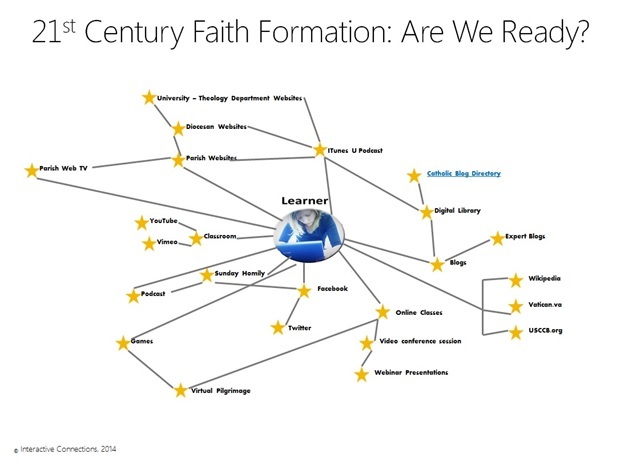 How we teach and form others in their faith in a Digital World is different than when I began teaching or being involved in the parish world. Yes, it is geared for the school educator. However, I go to learn what is happening in our schools. These are the folks who come to our parish programs. 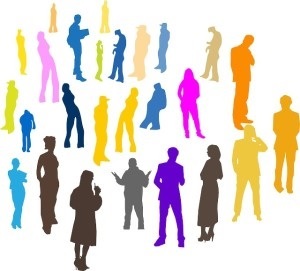 And I ask – Can we “Walk their Walk and Talk Their Talk” when it comes to integrating technology into our ministries? I plan to share more with you from the conference. So, come back to learn what I’ve discovered. If you have questions you would like to explore, please ask them in the Comments section of this post. I look forward to hearing from you.